Customer satisfaction is important to us here at Innovative Metal Designs. We take pride in providing you with quality controlled products. Our Orange County, California machine shop specializes in CNC machining, welding, and custom sheet metal fabrication to manufacture ISO 9000:2001 certified production parts and turnkey products. From raw material inspection to final packaging check off, you can be sure your production will follow our rigorous quality control process. We produce high volume custom metal production parts on a daily basis and quality control is upheld from start to finish. Our state-of-the-art equipment, including cutting edge machining technology and CAD/CAM programming software is updated continuously to stay competitive within our market. With technology advancing so quickly, it's important to us to remain ISO 9000:2001 | AS9100 certified in order to provide you with the high quality you would expect from a machining and fabrication shop. Our customers are the most important aspect of our company and we do our best to keep you satisfied. Our overseas manufacturing services are held to the same high quality standards maintained in our Los Angeles, California machine shop. We uphold quality control ISO certified procedures that ensures the production parts are what our customers want. 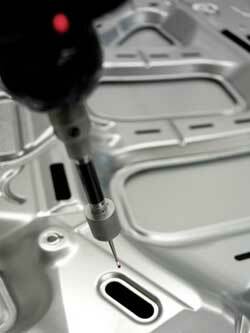 Innovative Metal Designs adheres to strict standards through our highly qualified inspection department. With overseas manufacturing, high production parts are manufactured through cost-effective solutions. Our guarantee for quality products is preserved globally and locally. 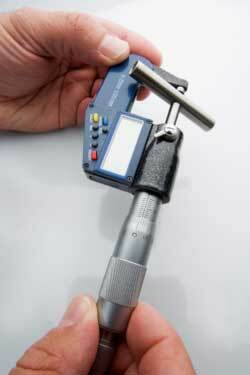 Contact us or Request a Quote for more information regarding our quality control and inspection equipment.